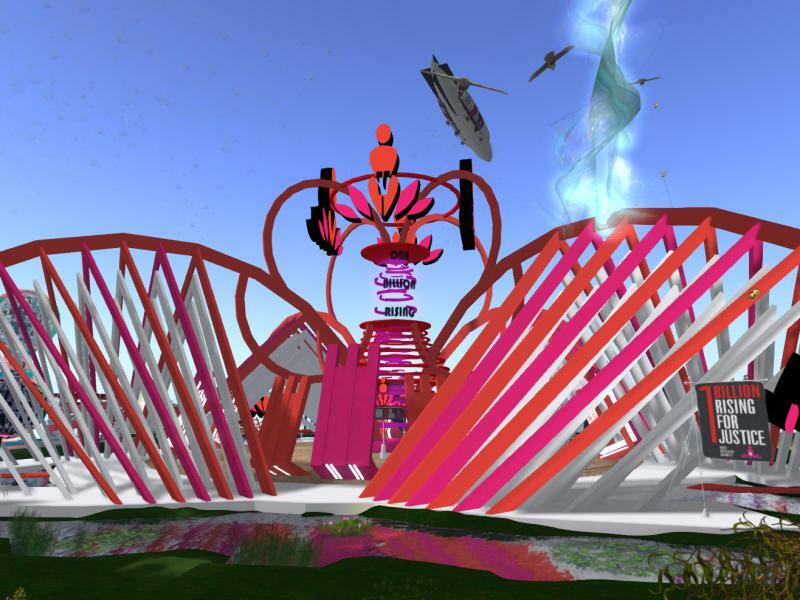 Celebrate One Billion Rising again with Designing Worlds – now on the web! Designing Worlds show about the wonderful One Billion Rising event is now on the web! We talk to Victor Mornington, who created the fabulous stage, to Taralyn Gravois, who curated the fantastic art installations, to Samantha Ohrberg, who organised the amazing music programme, to JuJu Apollo Starr, the stage manager lead, and to Jilly Kidd, who organised the poetry sessions. And we learn more about some of the individual art installations with artists Mikati Slade, Krystali Rabeni, Reuben Mayo, Finn Lanzius and Betty Tureaud. We also something more of the live event – both the musical side, and the poetry sessions as well. It’s a great show – don’t miss it!